Few would have been surprised to see Ha’aretz publisher Amos Schocken’s March 22nd Tweet promoting the notion that Israel is guilty of ‘apartheid’: he has, after all, touted such allegations on the pages of his paper for years. Members of the BBC’s funding public may, however, have been disturbed to see a clearly identified BBC Arabic producer retweet that controversial smear to his own Twitter followers. Clearly that retweet of an ‘apartheid’ smear by BBC Arabic producer Michael Shuval certainly does have an impact on public perceptions of impartiality in BBC reporting on Israel. BBC audiences recently saw heavy social media promotion of a programme in the ‘Our World’ series that was broadcast on the BBC News Channel and the BBC World News Channel under the title “Working for the Enemy”. The ‘documentary’ presented by Murad Batal Shishani (available here) literally opened with a context-free slur that has long been used by anti-Israel campaigners and BBC journalists alike. Sarah Leah Whitson, executive director of the Middle East division of Human Rights Watch, said: “Rushing to put men to death based on an unreviewable decision of a special military court days after announcing their arrests, and airing videoed confessions, smacks of militia rule, not the rule of law. Nevertheless, BBC Arabic chose to take those video confessions at face value and after a brief sketch of Fuqaha’s terrorist activities during the second Intifada, his imprisonment and his release, Shishani interviewed Hamas’ Mahmoud al Zahar, describing him as someone who “had known Mazen Fuqaha for years”. Showing no further interest in the topic of Fuqaha’s terrorist activities, Shishani went on to further amplify Hamas’ version of events. With obvious approval and cooperation from Hamas, Shishani next visited a prison in the Gaza Strip where he spoke to one of the “convicted collaborators” called Ibrahim. BBC audiences were once again led towards the erroneous belief that Gaza is under “siege”. Ibrahim: “Most people who fall into this trap, 90% or more are victims. We in Gaza are suffering from a very harsh siege. Everything is in short supply. Healthcare. Basic needs. Once again – after giving uncritical and extensive amplification to those claims – Shishani ticked the BBC’s ‘impartiality’ box with a one-liner. The next part of Shishani’s film was devoted to the man executed by Hamas for the killing of Mazen Fuqaha – Ashraf Abu Laila. Shishani: “Ashraf Abu Laila approached the jihadists, claiming he is a member of the so-called Islamic State but the jihadists rejected him. As a loner, Ashraf might have been easier to control. But would the Israeli security forces really recruit a jihadi – someone dedicated to the violent destruction of Israel? It seemed an extraordinary risk”. The rest of this programme will be discussed in part two of this post. As we saw in part one of this post the BBC News website’s written report on the infiltration of Israel’s air-space by an Iranian UAV and the events that followed amplified Iranian and Syrian disinformation on the story while also implying to audiences that there is room for doubt regarding the veracity of official Israeli accounts of the various incidents. “The Israeli military says a “combat helicopter successfully intercepted an Iranian UAV [unmanned aerial vehicle] that was launched from Syria and infiltrated Israel”. 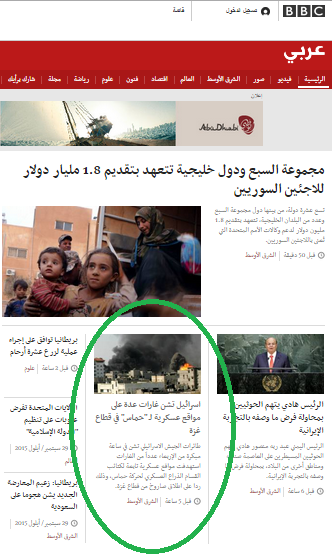 On the same day – February 10th – the BBC News website also posted a filmed report on the same topic titled “Israeli jet downed during Syrian attack: What happened?“. The film’s synopsis makes no mention of the UAV infiltration that was the cause of the subsequent strike on the mobile command vehicle that launched and guided the Iranian drone at the T4 airbase near Tadmor in central Syria. “An Israeli F-16 fighter jet has crashed amid Syrian anti-aircraft fire after an offensive against Iranian targets in Syria, the Israeli military says. “This is the wreckage of an Israeli jet that crashed following Syrian anti-aircraft fire. Israel’s military, the IDF, released this footage from one of their helicopters. They say it shows an Iranian drone flying over Israeli territory. The IDF destroyed the drone. The helicopter returned to its base. Then, says the IDF Spokesperson, Israel flew jets into Syria to strike ‘Iranian and Syrian targets’. The Syrian army launched anti-aircraft missiles in retaliation. Two pilots ejected from their jet. It crashed in northern Israel. The pilots were flown to hospital. One is in a serious condition. Syrian media quoted a military source saying they had hit ‘more than one plane’ in response to ‘Israeli aggression’. As we see, once again the BBC opted to present a ‘he said-she said’ view of the story which – contrary to the claim made in both the headline and the body of this report – in fact does nothing to help its audiences understand “what happened?”. The same editorial policy was evident in a follow-up article published on the BBC News website on February 11th under the headline “Israel warns Iran after launching major raids in Syria“. “Israel launched raids against Iranian targets after saying it had intercepted an Iranian drone crossing the Syria-Israel border. While there is no evidence to support either that Syrian claim of having hit “more than one plane” or Iran’s assertion that it did not launch the drone , the BBC continues to amplify those claims regardless. Meanwhile, as details of Saturday’s events were still emerging, a BBC News producer found the time to translate and amplify disinformation from another source too. The link led to an article titled “Interpol approves Palestinian membership despite Israeli opposition” in which the source of that BBC sub-heading was revealed. “Interpol has admitted the Palestinian territories as a new member, despite opposition from Israel. The international policing body backed membership for “the State of Palestine” at its annual general assembly. Palestinian Foreign Minister Riyad al-Maliki declared the news a “victory”, made possible by the “principled position” of most Interpol members. The BBC did not however provide readers with any information in its own words on obviously relevant issues such as the PA’s payment of financial rewards to terrorists and their families or the fact that alongside the new item of membership dues to Interpol, the PA’s annual budget includes salaries for convicted terrorists. Neither did the BBC consider it necessary to raise the question of Interpol membership for an entity currently negotiating power-sharing with a designated terror organisation. The tone of this report would have come as no surprise to anyone following regional BBC staff on social media. The last five paragraphs of this report include promotion of a link to the BBC News website’s recent report on the terror attack in Har Adar (which did not describe the incident as terrorism or the attacker as a terrorist) and standard recycled ‘background’ inserts that amplify PLO messaging on the topic of Palestinian terrorism. While that paragraph has been seen in countless BBC News website reports over the last two years, audiences continue to be deprived of serious reporting on incitement to violence from official Palestinian sources or on the Palestinian Authority’s funding of terrorists – topics relevant to this particular story as well as numerous others. Late on March 1st another missile launched from the Gaza Strip exploded in Israeli territory. The projectile struck the Hof Ashkelon region shortly after 11:00 p.m. on Wednesday, the Israel Defense Forces said. Israeli troops began searching the area to locate the rocket, the army said. No terrorist groups immediately took credit for the attack. At least one locally based BBC employee was aware that an attack had taken place. 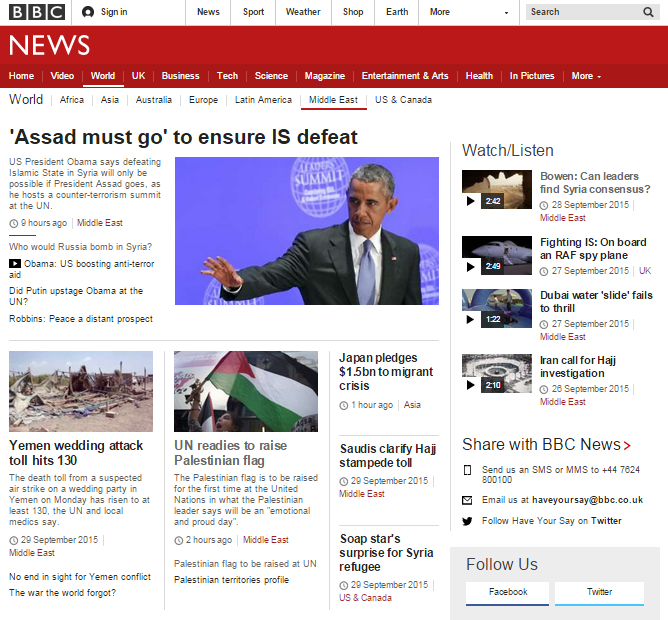 Nevertheless, there was no coverage of the attack on the BBC News website. Since the beginning of the year five missile attacks against Israel have taken place – three from Gaza and two from Sinai – none of which have been reported by the BBC’s English language services. Throughout 2016 just one of ten attacks received BBC coverage in English. “The Palestinian delegation to the United Nations successfully initiated an informal meeting of the Security Council on Israeli settlements in the West Bank that is to be held on Friday and to be attended by representatives of B’Tselem. It is believed that this meeting is the Palestinian delegation’s first step in a plan to have the Security Council issue a resolution against Israel regarding the settlements. Predictably, the participation of B’Tselem (which has received funding from UN bodies) in such an event created controversy, as did the actual messaging delivered by its director Hagai El-Ad to the forum. One Israeli politician declared his intention to weigh “the possibility of taking legal action against El-Ad to strip him of his Israeli citizenship”. That, of course, will not happen because not only was David Bitan subsequently advised that there is no legal basis for such action but parliamentarians from across the political spectrum – including his own party – publicly declared their opposition to any such move. Nevertheless, Bitan’s declaration did provide the opportunity for some PR posturing from B’Tselem’s director. And that second Tweet was given further amplification by BBC News producer “in Israel and the West Bank” Michael Shuval who went on to add his own commentary – notably and oddly, in English. Those Tweets clearly “advocate” a “particular position on an issue of current public controversy or debate” and thus contradict the BBC’s guidance and compromise its impartiality. The fact that B’Tselem was the local political NGO most quoted and promoted by the BBC throughout 2015 and 2014 makes that lack of impartiality even more worthy of note.